Ramin Rak is a renowned neurosurgeon in Rockville Centre, New York. He directs his own Neurological Surgery, P.C. facility and holds an M.D., F.A.A.N.S., and F.A.C.S. He is a specialist in micro-neurosurgical techniques. He has published numerous books and articles on spinal surgery. To note just a few, some of the surgeries he has performed include complex spine treatments, skull-based surgeries, and awake craniotomies. His experience with performing several awake craniotomies has allowed him to establish numerous craniotomy programs throughout Long Island hospitals. Ramin Rak earned his undergraduate degree with high honors in Medical Basic Sciences in Belgium and his medical degree from the Free University of Brussels. He entered an externship in Washington, D.C, completing another internship shortly after at the Washington Hospital Center’s Department of Surgery, and gaining years of hands-on experience in the operating room. He then went on to serve as the clinical Neurosurgery Fellow in Bethesda, Maryland. After a very successful fellowship, he went back to Washington to become the Neurosurgery Resident at George Washington University’s Department of Neurosurgery. Ramin Rak still had more education and experience ahead of him. He went on to become the Skull-Based Micro-Neurosurgery Fellow at North Shore-LIJ and the Chief Neurosurgery Resident in the Neurosurgery Department at the University of New Mexico, Albuquerque. 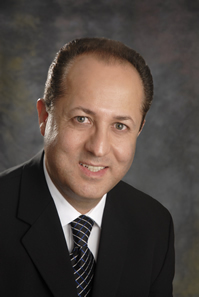 Ramin Rak is a member of the American Association of Neurological Surgeons and the Congress of Neurological Surgeons. He has spoken at numerous medical conferences on neurosurgery and has stayed ahead of the curve on medical breakthroughs involving the spinal cord. To learn more about Ramin Rak, please take a moment to read about him on http://about.me/DrRaminRak.